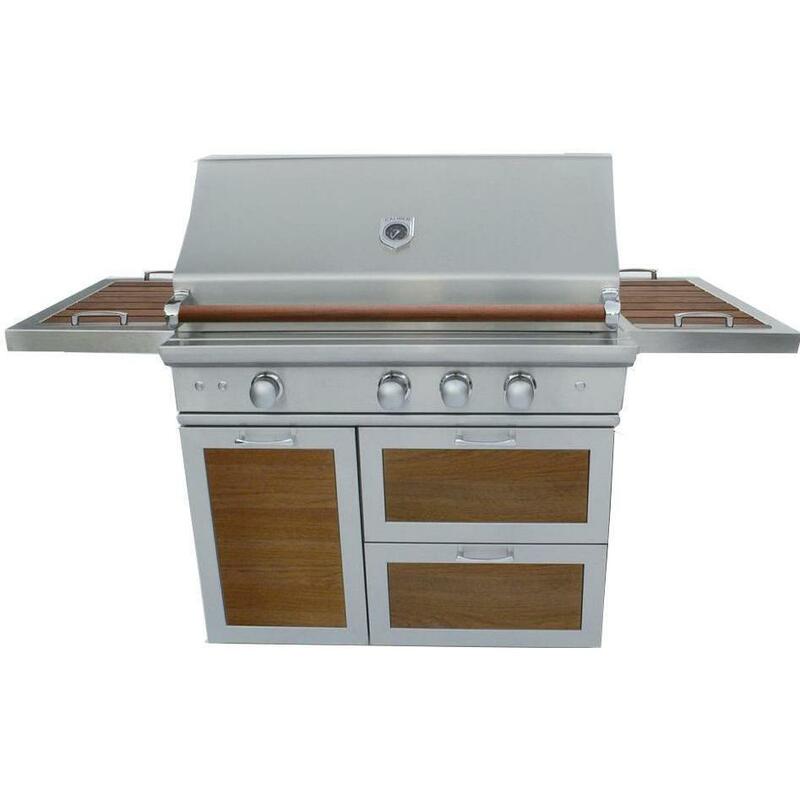 Product Description: Rockwell By Caliber 60-Inch Freestanding Natural Gas Grill On Wood Table - Turquoise. 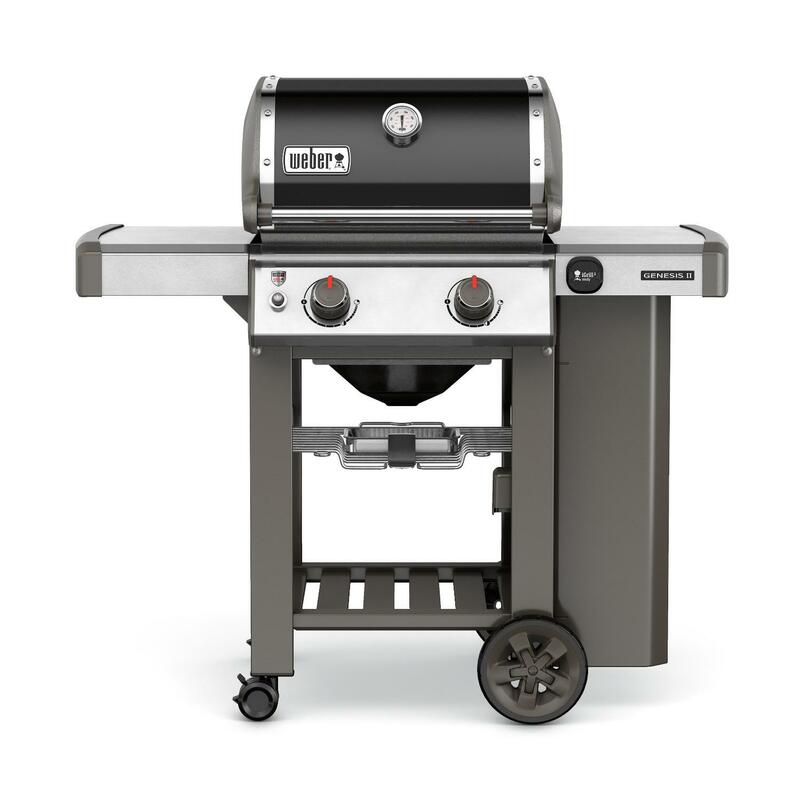 With its sleek and contemporary styling, the Rockwell by Caliber is the first true social grill in the world. 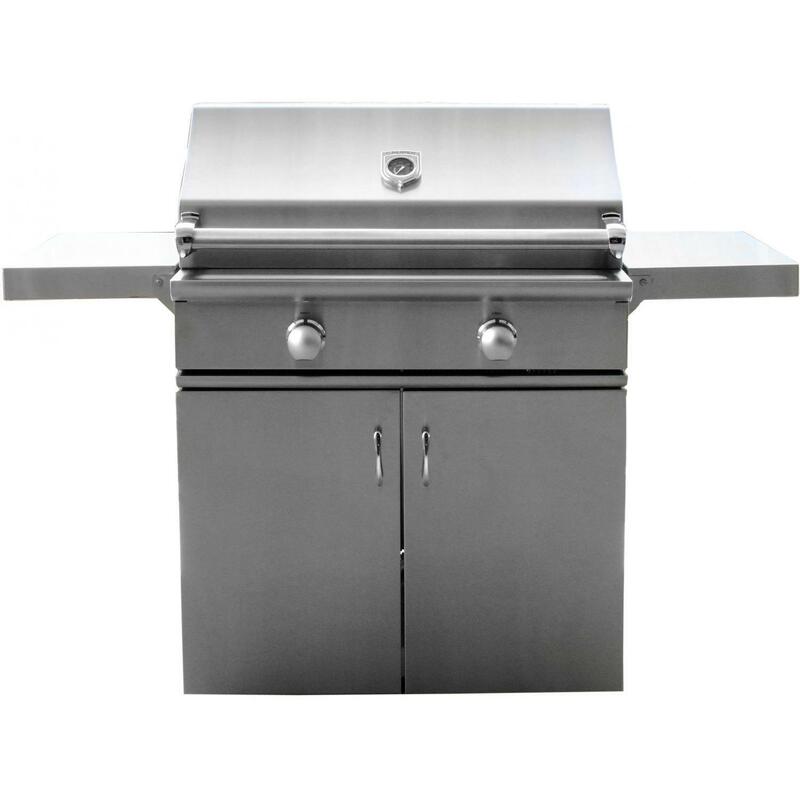 Designed for David Rockwell of the Rockwell Group, an award-winning cross-disciplinary architecture and design firm, this grill was developed exclusively as an installation for one of their projects. 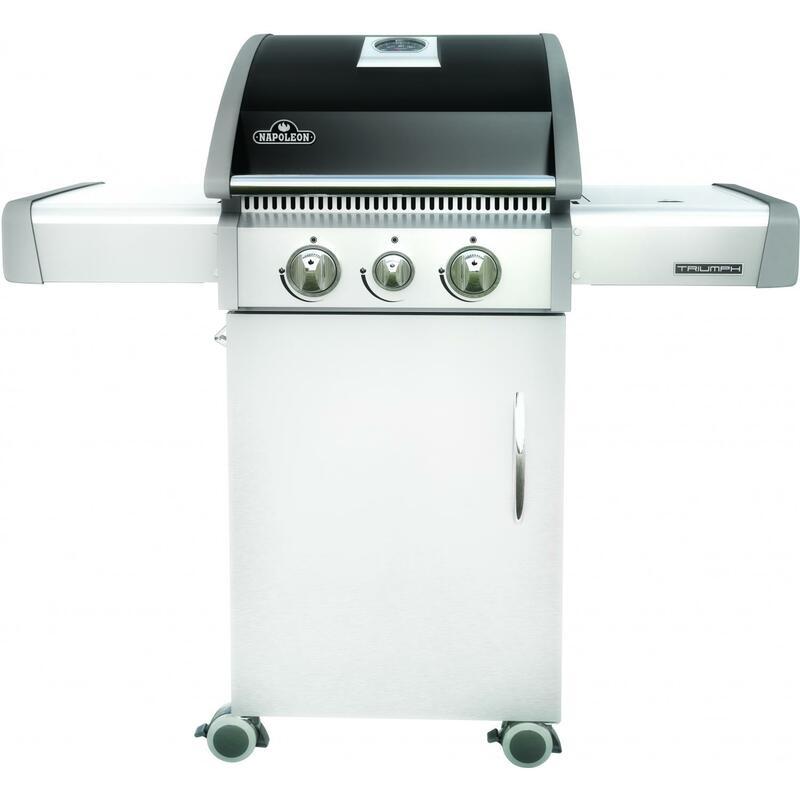 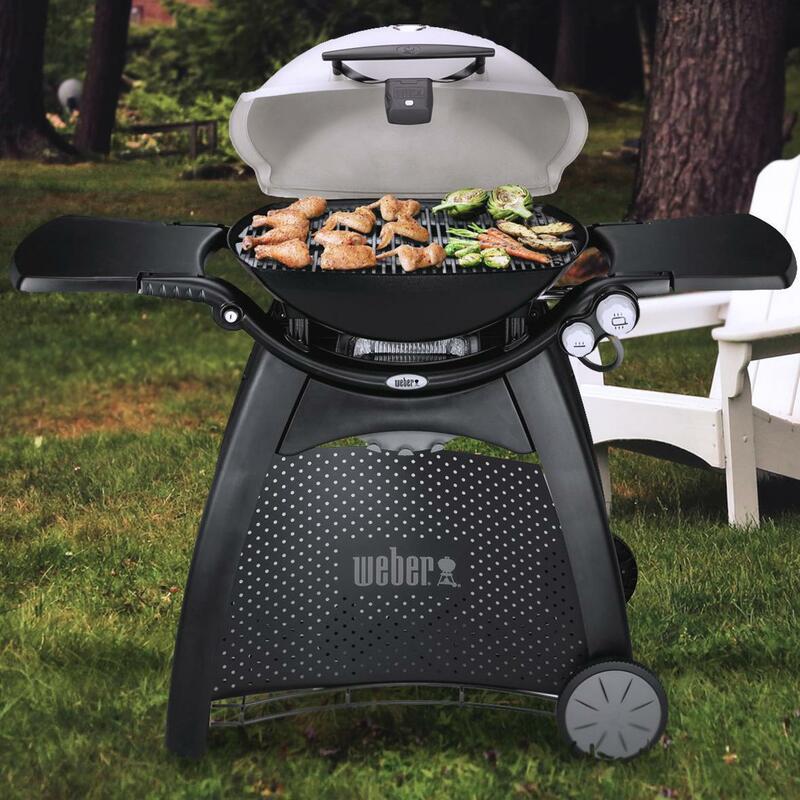 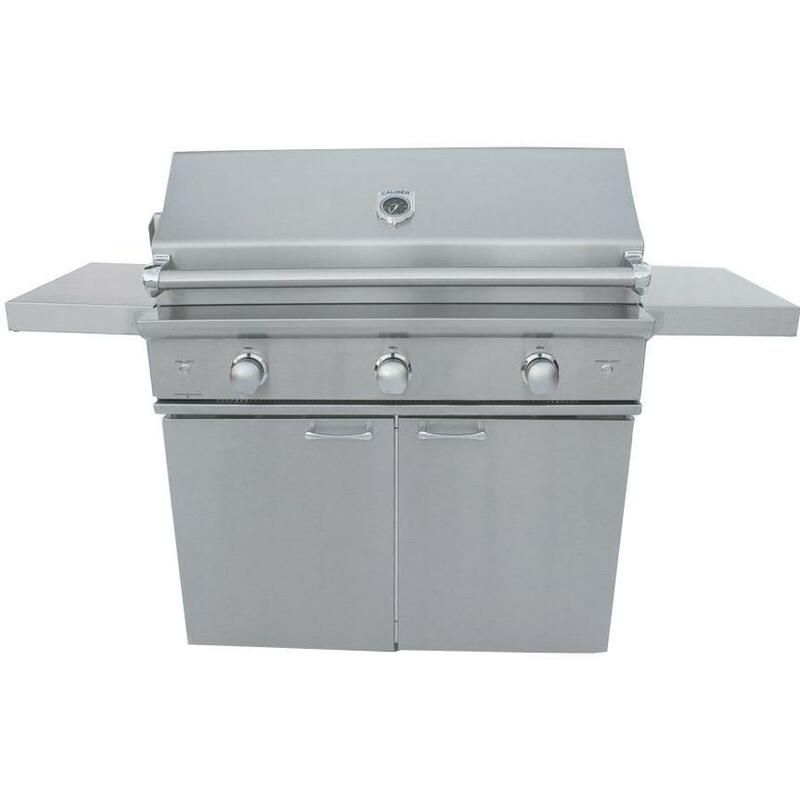 This grill features a fully retractable, disappearing double-lined lid which provides 360 degree access for friends and family to gather around the grill to enjoy great food and conversation. 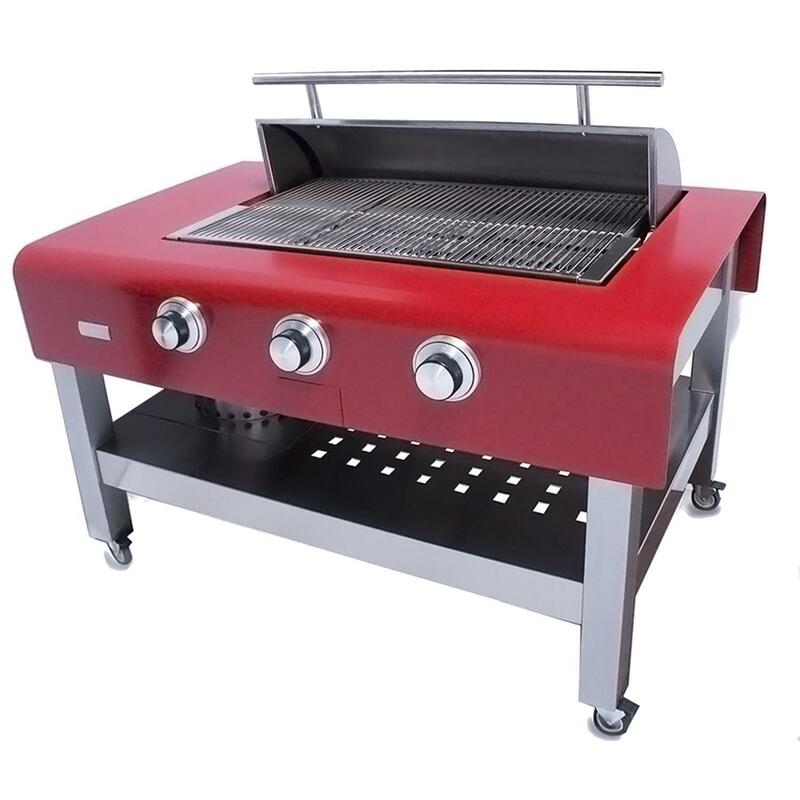 The unique grill hood can also be stopped at any position in its rotation. 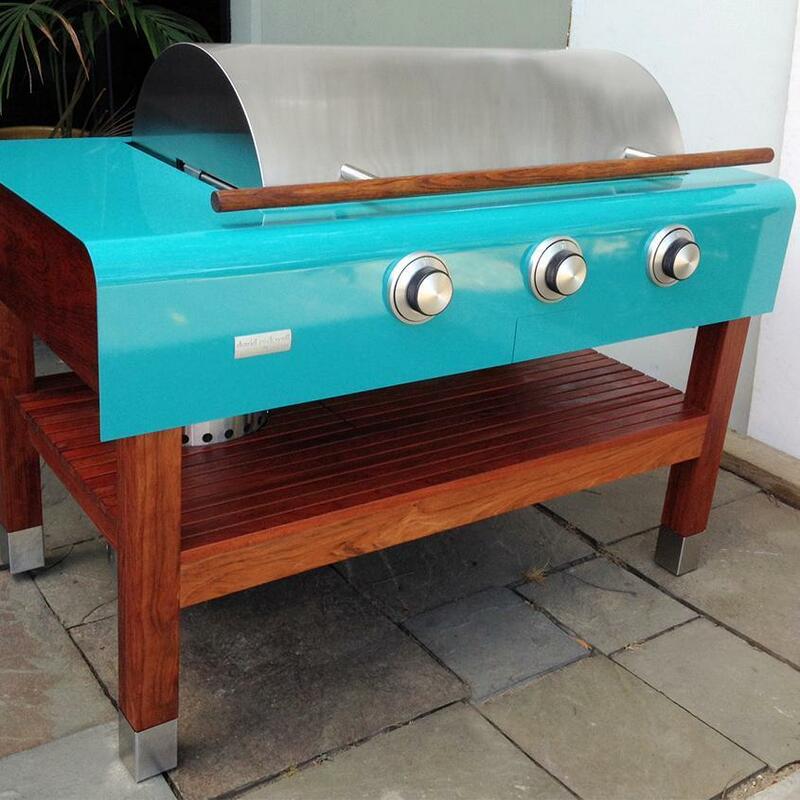 The exterior is built from powder-coated turquoise aviation grade aluminum and draped like a tabletop over a custom Brazilian cherry table that is hand rubbed for a chic look. 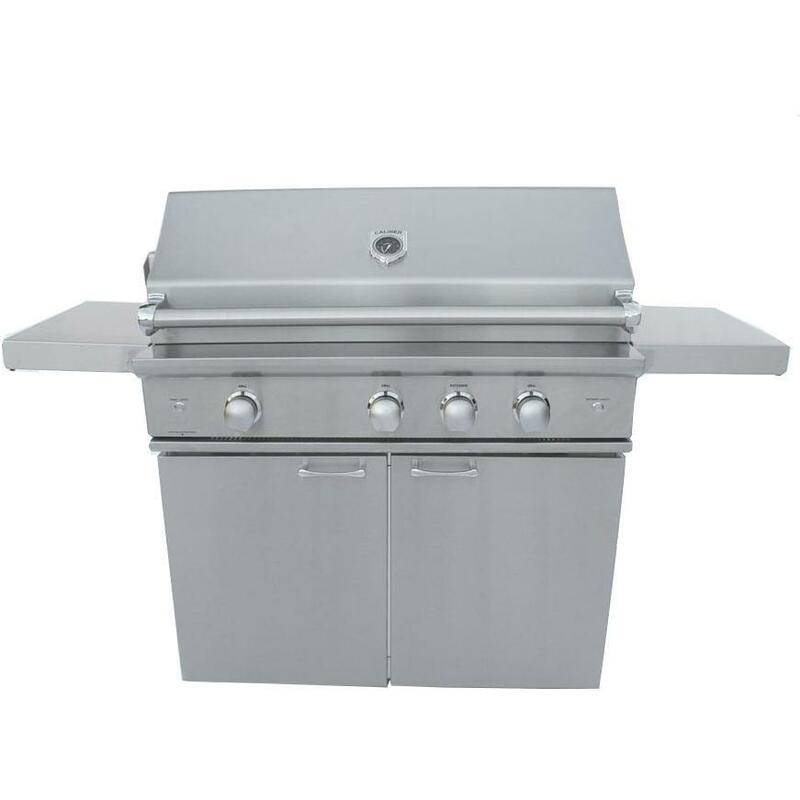 The Brazilian cherry table base is fully assembly and features a storage area under the table. Inside the grill, three 20,000 BTU stainless steel Crossflame burners are engineered to deliver intense heat with a total of 60,000 BTUs. 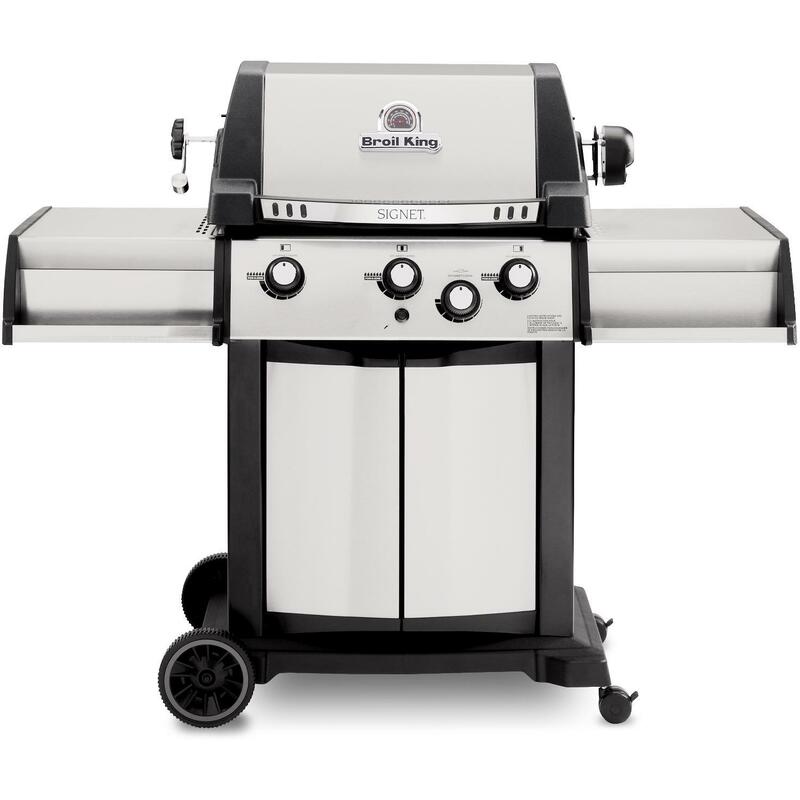 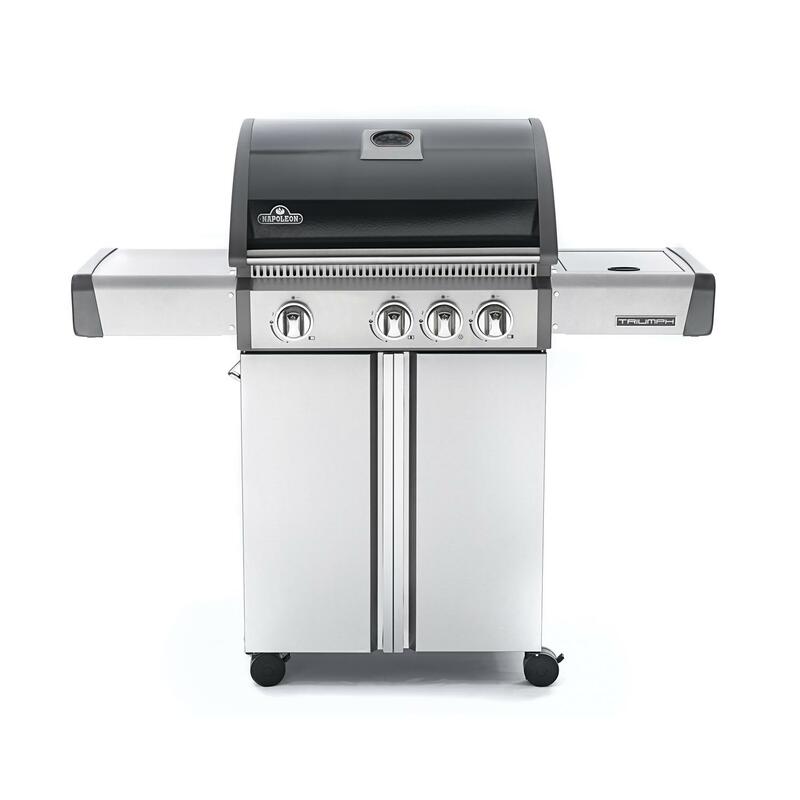 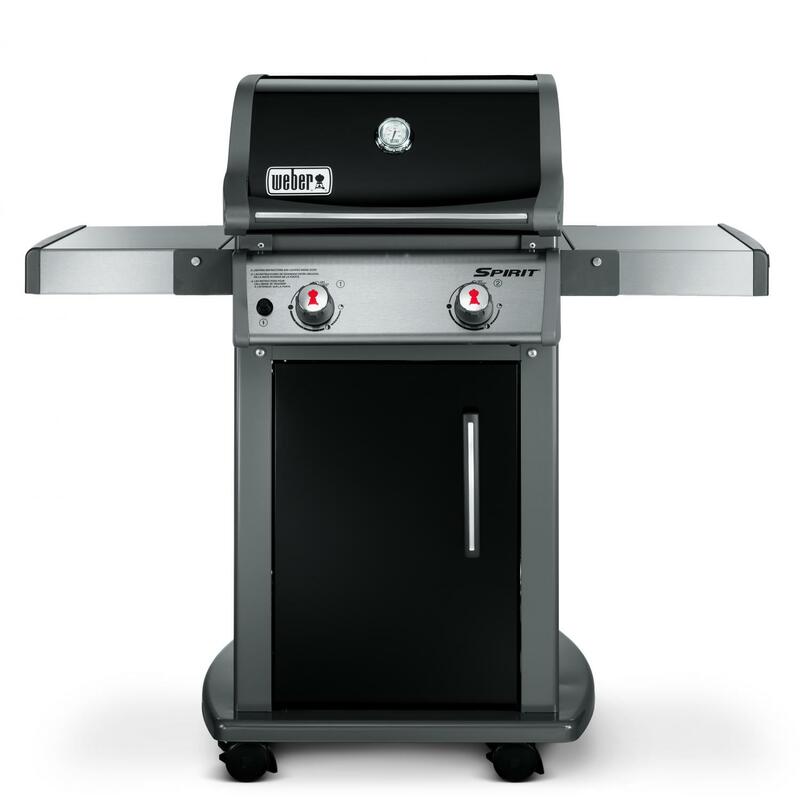 Directly above the Crossflame burners, an exclusive stainless steel Crossflame radiant system ensures the grill has even heat across the grilling surface for easy cooking. 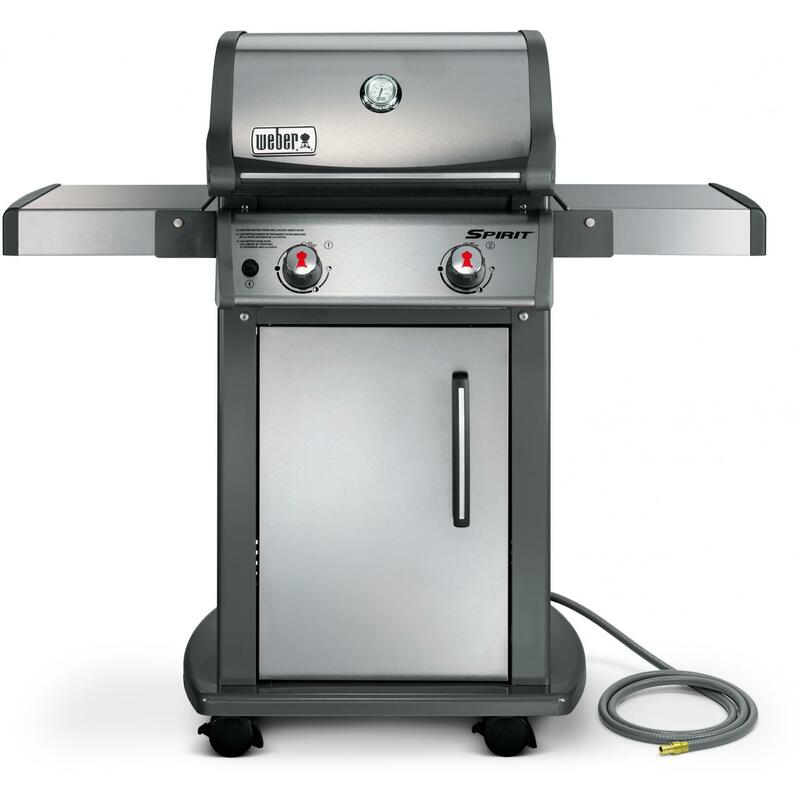 By delivering heat evenly and powerfully, this system uses energy more efficiently while reducing flare-ups. 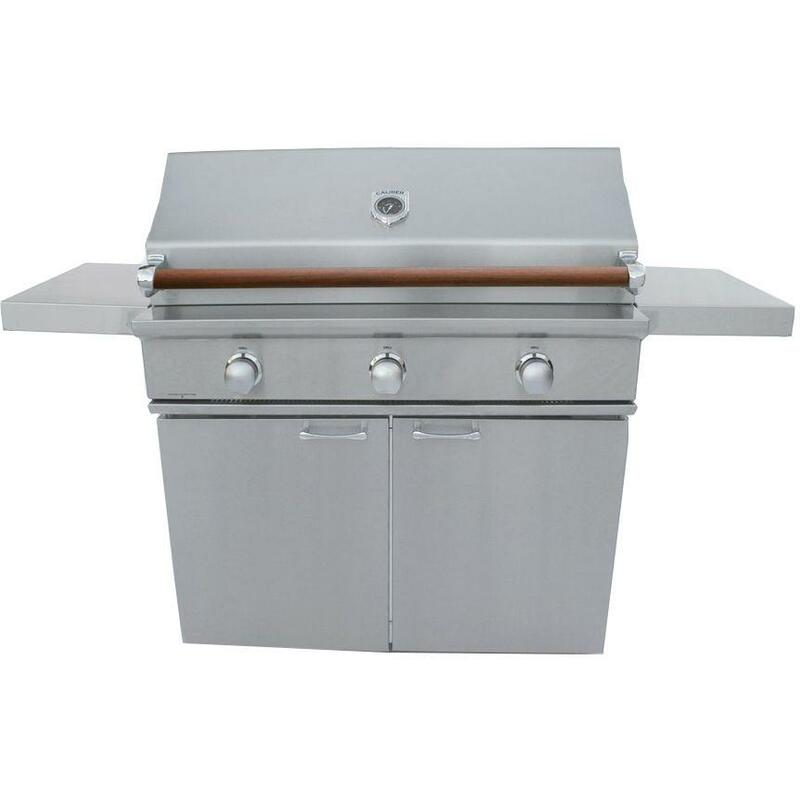 The CRG60TQ-N natural gas grill also features three cooking zone dividers for cooking at different temperatures across the 675 square inch grilling surface. 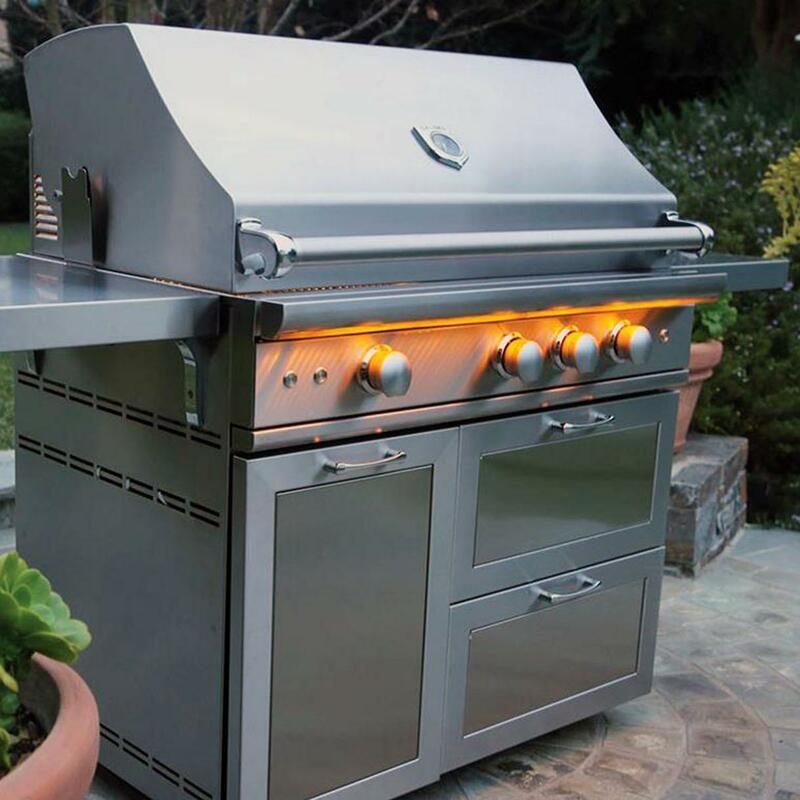 The Sure Light ignition system ensures fast, safe lighting with no electricity required. 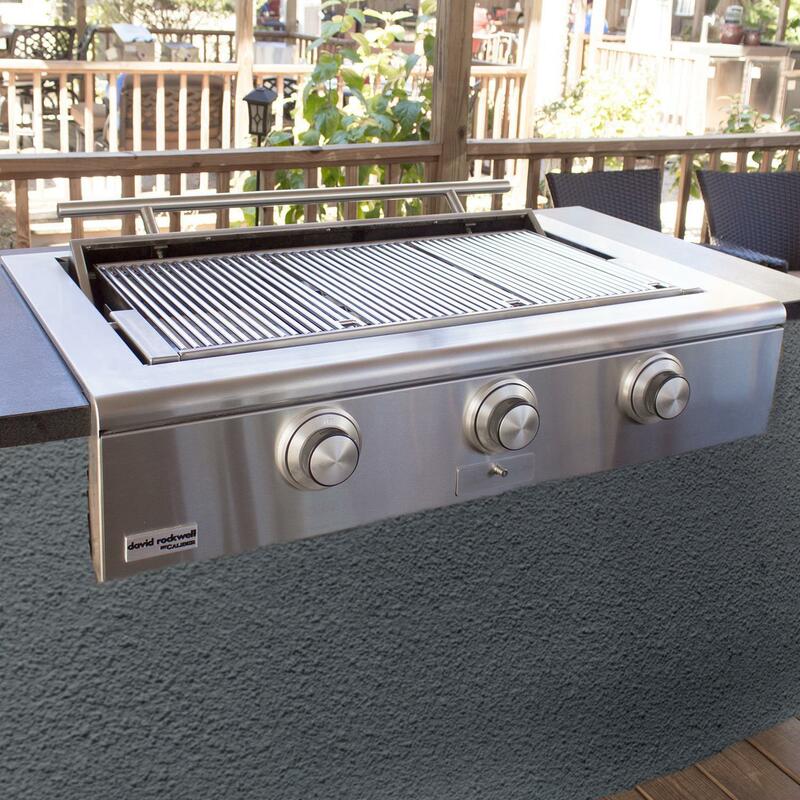 The Rockwell by Caliber social grill is made in the USA.